I was tired of feeling sluggish, wanted to get off the couch, moving and wanted to join my wife in exercise. I knew a better quality of life was out there. Joining the Inspirational team has given me the tools to achieve that better life. 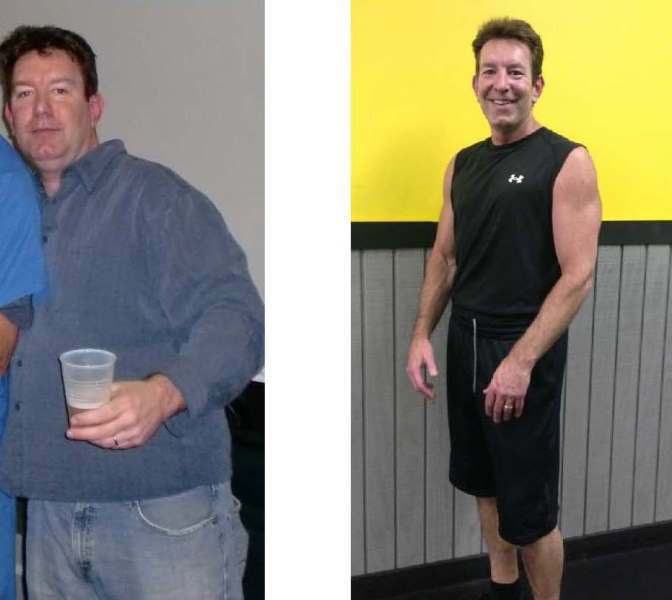 Brian and Cathie explain how a combination of healthy nutrition through grocery store shopping, exercise and consistency are crucial to the lifestyle change that I currently live. My wife, Jill, is also a member so we are able to plan meals and workout together. My general quality of life, 24/7 has improved greatly. There is no more time wasted waiting for my mind and body to “recover” and “heal” from over indulging. From a health standpoint, my latest tests have showed my cholesterol numbers have decreased. I now live a more energetic and positive life. Not to mention all the friends I have made during class and attending the nutrition meetings. Life changing (is that one word?) If not, here is another one …. AWESOME!